Simply complete the form below and the guide will be emailed directly to you. When implemented and managed mindfully, sales enablement can help us become more productive, more competitive and more profitable. Which is why, unsurprisingly, 59,2% of companies now have a dedicated Sales Enablement function. 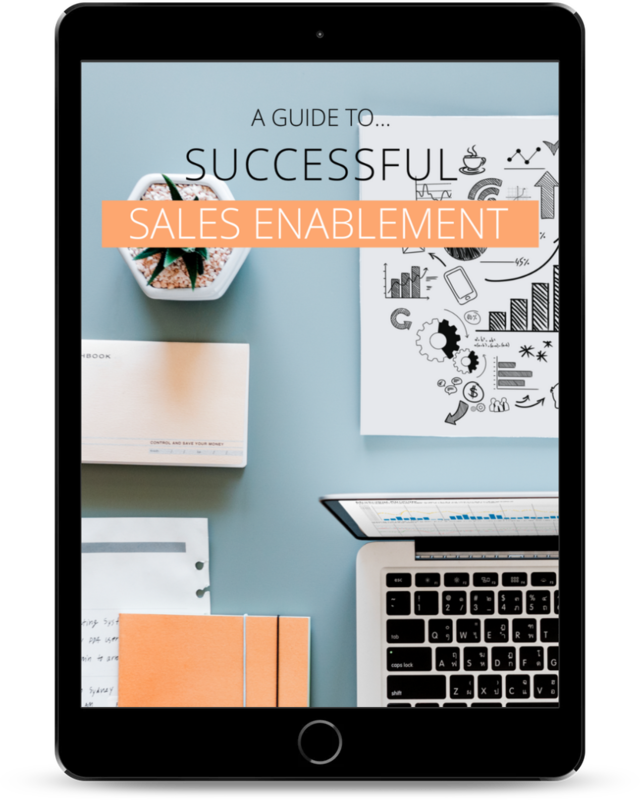 This guide examines what good sales enablement looks like, outlines best practices, and suggests top tips from a renowned industry leader. The buyer journey is becoming increasingly sophisticated. According to CEB, the average B2B buyer is 57% through the purchase decision before engaging a sales rep. In order to effectively meet the requirements of this very informed prospect, we need to arm our reps with a much more advanced story and better frameworks to help streamline the process. Sales Enablement can help build the assets required to do that successfully. The successful collaboration of these two departments helps to create the best and most useful lead capturing asset - content. But a robust collection of blog posts, case studies and white papers can not only be used to woo prospects, it can also help educate the sales team. In this guide, you’ll find a handy content library checklist to cross reference with your existing assets. By the end of this paper, you’ll be able to identify the real value of investing in effective sales enablement, know how to overcome the common challenges, health check your existing offerings and pick up some crucial tips from former Sales Enablement Leader at Hubspot.